Canada Day seems a good time to look at the life of an Atcherley who made Canada his home. During an attack upon four lines of enemy defences, he pushed forward into our barrage and destroyed the enemy’s wire, took his party through the gap and established a block in the enemy trench to prevent counter-attack. His prompt and gallant action ensured a rapid passage of our main body into the enemy’s trench, and undoubtedly saved many casualties, as the enemy’s barrage opened on the wire immediately after our attacking party had entered the trench. I think it should be “happier returns” sweetheart. I love you still more today and more as the days go on dear. I ask God to grant us the happiness there was on our first day, this day one year ago. General Register Office, index of births. Birth of Charles Hedley Atcherley registered at Walsall, December quarter 1889; volume 6b, page 659. Birth of Thomas Cureton Atcherley registered at Corwen, March quarter 1886; volume 11b, page 331. Birth of Marigold Atcherley registered at Walsall, September quarter 1916; volume 6b, page 1276; mother’s maiden name Heather. General Register Office, index of deaths. Death of Thomas Cureton Atcherley registered at Walsall, September quarter 1888; volume 6b, page 330; age given as 2. Death of Marigold Atcherley registered at Walsall, September quarter 1916; volume 6b, page 646; age given as 0. The National Archives, Census of England and Wales 1891. The National Archives, Census of England and Wales 1901. Library and Archives Canada, RG 150, accession 1992-93/166, box 179 – 18 (attestation paper for 14445 Lt Charles Hedley Atcherley). Date of birth shown as 21 Sep 1881. Anon (approx 1968), Eighty years or more. In: The Review (Niagara Falls). FamilySearch, England Births and Christenings, 1538-1975, batch # I03130-4, source film # 1278869, reference # item 12 page 118. Findmypast.co.uk: Passenger Lists Leaving UK 1890-1960. (Original data: The National Archives, Outbound Passenger Lists, series BT27.) Passenger list for Empress of Britain, departing Liverpool, England on 1 Jun 1956 for Montréal, Canada (shows Lilian Atcherley, born 14.6.95). Ancestry.com: UK Incoming Passenger Lists, 1878-1960. (Original data: The National Archives, Inwards Passenger Lists, series BT26.) Passenger list for the Montreal, arriving at London on 9 June 1911 from Montreal, Canada. Passenger list for Empress of Scotland, arriving Liverpool, England 23 Jul 1956 from Montréal, Canada (shows Lilian E Atcherley, born 14.6.95). The National Archives, Census of England and Wales 1911. Ancestry.com: Canadian Passenger Lists, 1865-1935. (Original data: Library and Archives Canada, RG 76-C, Passenger Lists, 1865–1935.) Passenger list for the Corsican, arriving at Montreal, Quebec, Canada on 26 April 1908. 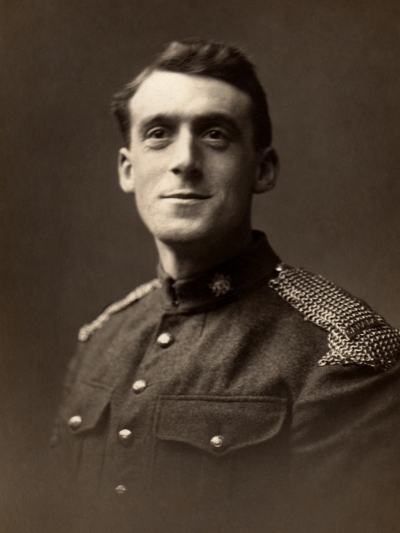 Anon (date unknown), photograph of Charles Hedley Atcherley taken during World War One, with notes on reverse. Fort Garry Horse Regiment website. London Gazette, issue 30287, 17 Sep 1917, pages 9601–9602. Ontario Genealogical Society Provincial Index. Judith Kynaston … and connections with Royalty? The Atcherley one-name study (with variants Atcherly and Acherley) is registered with the Guild of One-Name Studies. As a surname study, it is also registered with The Surname Society.